KUALA LUMPUR (July 18): The Malaysian Automotive Association (MAA) has revised its projection for the total industry volume (TIV) in 2018 down to 585,000 units from the 590,000 units it estimated earlier this year, due to concerns over the replacement of the goods and services tax (GST) with sales and services tax (SST). MAA president Datuk Aishah Ahmad said when the GST was introduced in April 2015, car prices had in fact came down. With the coming reintroduction of SST, she said car prices would go back up. "The main reason for the reduction of 5,000 units is because we are concerned about the SST which will be at 10% whereas GST was at 6%. So most models will have a price increase. "From June to August, there is a big rush for consumers to register vehicles because they know the price is cheap. But from September onwards, I am sure there will be a bit of a slowdown. If prices increase further, sales will be impacted," she told reporters at a press briefing on the automotive industry's performance in the first half of the year. "I think most of our members have done the simulation; there would be some slight increases in price but it will vary from model to model. 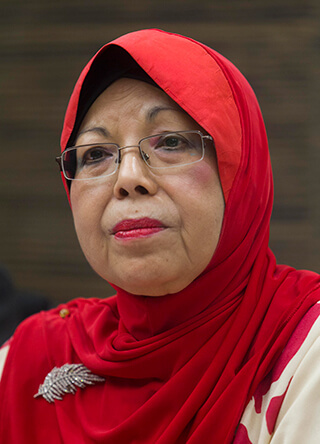 Right now we are still waiting for the technical details of the new implementation of SST — whether it is going to be exactly as per what was implemented previously or there is going to be any changes," Aishah (pictured) added. In the first six months of 2018, the TIV of new motor vehicles increased marginally by 1.8% to 289,714 units from 284,453 units in the same period last year. Aishah said the increase in TIV was contributed by the passenger vehicles segment with an increase of 2.1% or 5,295 units while commercial vehicles segment registered a very small decline of 0.1% or 34 units. On a monthly basis, the sales volume for June 2018 was the highest recorded so far in the year, with its TIV leaping 50.1% to 64,502 units from 42,983 units in May 2018. "This huge jump in TIV was due to the soaring demand for vehicles arising from reduction in car prices (with zero rated GST), as well as attractive Hari Raya promotions and offers by MAA members," Aishah said. When asked, Aishah said she believes that there is no need for another national car company as suggested by the Prime Minister, saying that the condition of the local automotive industry has considerably developed compared to when Proton was first introduced in 1983. Furthermore, she said the industry has no economies of scale so it would be costly to commence another national car company on its own. "We don't have economies of scale. Our industry only has a 585,000 (TIV) and to undertake a national car project, you need to work with a world-class manufacturer willing to invest in Malaysia. For now, we already have more than 500 local vendors here to assist and boost the requirements of the auto industry in terms of supply. "So to me, I don't think we need another national car anymore," Aishah added.